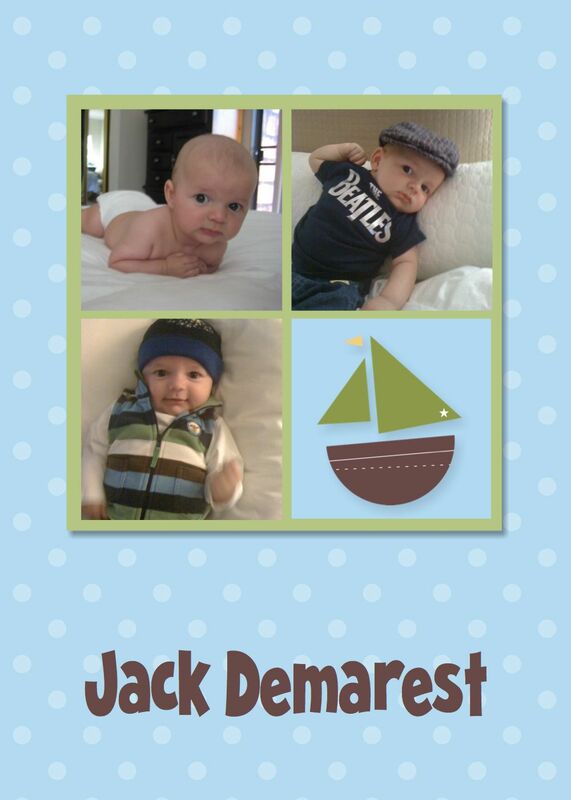 My friend Andrea asked if I could help come up with some baby announcements for Jack. He was born in June, and she figured she better get the birth announcements out before the holiday cards. “Of course,” I answered, thinking what a great chance that would be for me to play around with the card making features of My Digital Studio. It was so easy and fun to do, I made two! These are both 5″x7″ cards. 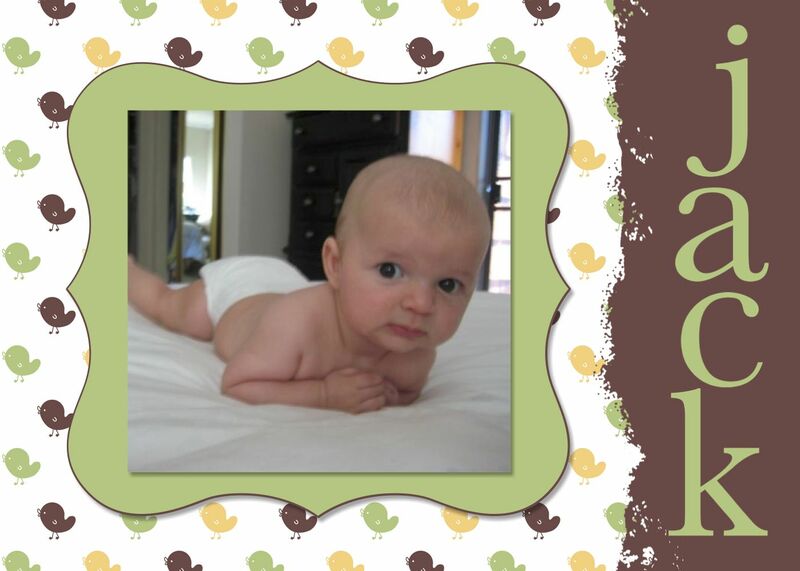 If you chose to print them through Stampin’ Up, you can also add more pictures and text for the inside, which is where I would put all of the birth announcements details, and maybe even a picture of the whole family. Which one would you pick?